The weather right here in the UK currently is just stunning. It is the weather we all moan we want, but when it arrives we dream of living in the freezers of Asda to cool down. Secretly joyous that I am not abroad in Spain or Portugal like my work colleagues who cheerily went off for their Summer holiday assuming Blightly would just thrash us with rain and storms. That said, those of us who haven't yet departed for the sunnier climates have been discussing where in the world we would like to visit. The most surprising place being Italy that we all agreed we would love to revisit. One colleague hails from Italy and his parents run a hotel in Porto Ercole. 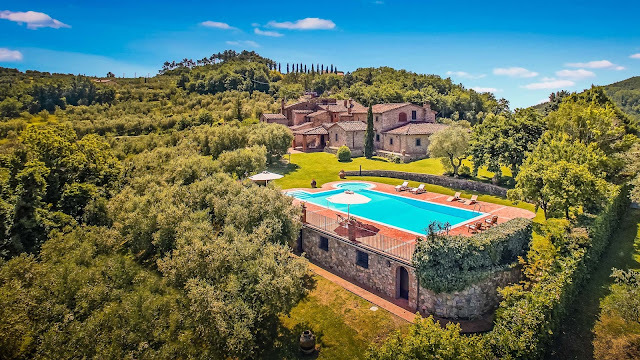 For me, I am drawn to Tuscany and there is so much choice when it comes to Tuscan holiday rentals that it caused a debate in the office as to which would be the most relaxing. With its capital of Florence, a place from which my Grandmother was named, Tuscany is perhaps best known for its landscapes, traditions, history and of course its artistic legacy. What attracts me to this part of the world, other than for the fine wine and pasta is the culture and there are so many things I want to see and do. I have a weird fascination with churches and graveyards and can spend hours just wandering around looking at the architecture and one building that really does capture my attention is the dome that covers the Florence cathedral (the church of Santa Maria del Fiore) is known as Filippo Brunelleschi’s dome. 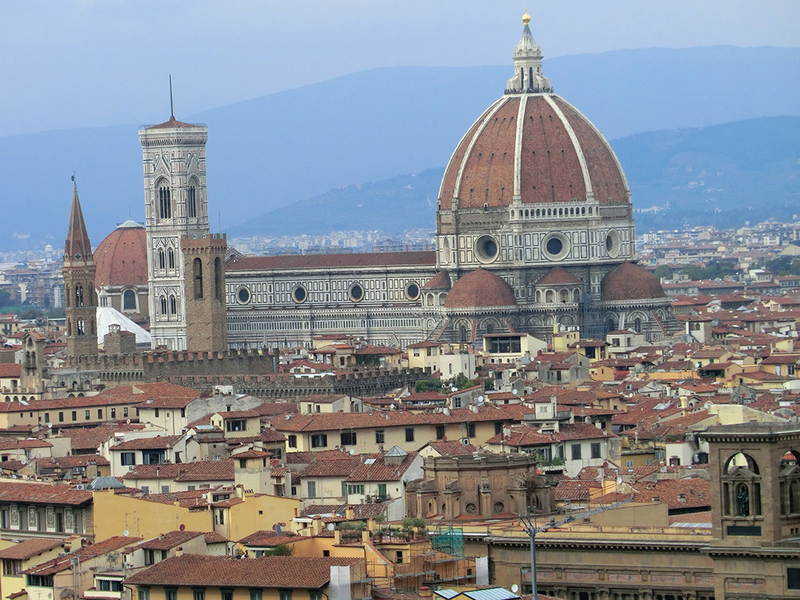 Described as being one of the most iconic sites across Florence due to the red-tiled cupola which can be seen dominating the skyline. 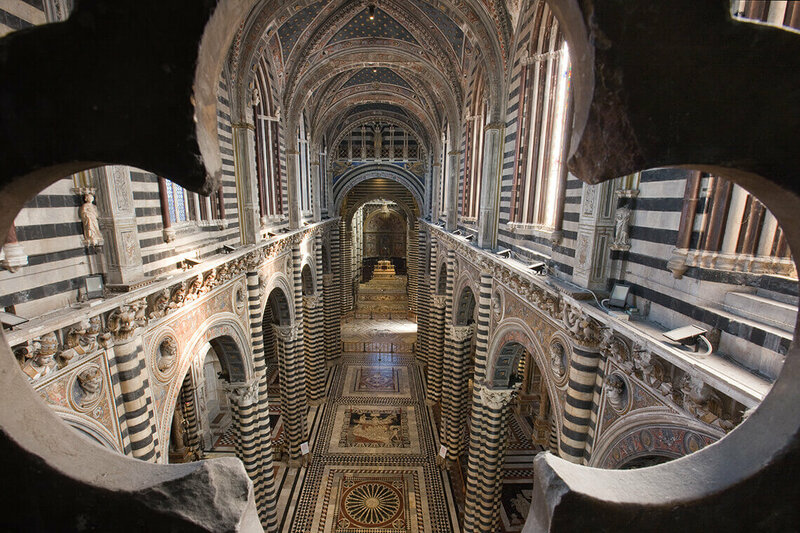 Inside the Dome, it is just as stunning and painted back in 1572 by Giorgio Vasari and it is said the best place to truly take everything in, is to climb to 463 steps right up to the interior of the dome. If you are a fan of James Bond, then Siena is the place to visit because there are some scenes from The Quantum of Solace you might recognise. For me, the draw is the Medieval connection which sees the layout of the Piazza look almost like an outdoor theatre. Equally, if it is medieval brick buildings as well romanesque-gothic cathedrals that you are looking for then Siena has it all. Inside the Duomo in Siena is a Library, the Piccolomini Library and if that isn't kooky enough for you, the Cathedral which holds work by Donatello, Bernini and Michelangelo, has an exterior and interior which are decorated in white and greenish-black marble in alternating stripes, black and white being the symbolic colours of Siena. Then there is Pisa, the one place in Italy I have been too and it was long before my days of blogging and social media. 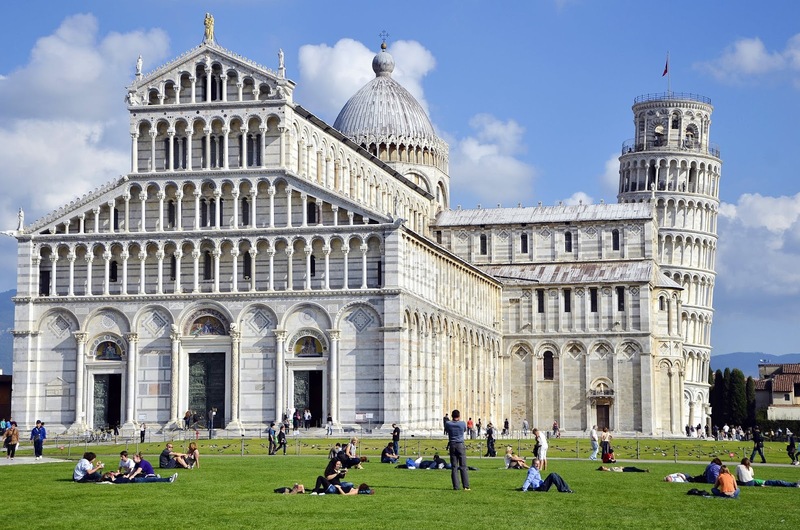 Pisa is, of course, best known for its iconic Leaning Tower and it was only when I visited that I learnt that the tower was already tilting when it was completed in 1372. Standing in front of the tower is quite something and as well as being a place to take some funny photographs, which you only have Google, you can also climb the steps inside, which I did. It is at the midway point whilst climbing the 284ish steps that you appreciate just how much it leans. The steps are quite narrow and if heights and small spaces are not your thing, then this most definitely will not be either. But, once you get to the top of the tower the view is quite something as you can see right across Pisa and into the surrounding hills. Whilst I was in Pisa, I also spent some time in both the Cathedral and the Baptistery but whilst wandering we also came across a cemetery known locally as Camposanto Monumentale and it was quite by accident that we stumbled across it. Referred to as the Holy Land it is said that the cemetery had been built upon the soil brought from Golgotha, which, if you know anything about religion and the Bible, is the site reputed to be located right outside the walls of Jerusalem, where the Christ was crucified. However, more fascinating than that and perhaps something I will never forget is a local tour guide who told us that the legend has it that at this burial ground it is claimed that anybody buried in it will dissolve in only 24 hours. Now I don't know whether or not this is true, but it is a piece of information that I have never forgotten in over ten years! As much as love the history, the culture and the cathedrals to look round, for me, a holiday is all about the sea. I've made no secret of the fact that I am at my calmest when I am beside the sea, perhaps there is some truth in being ruled by your star sign (Cancerian by the way) especially as I am a water sign. Tuscany is said to have over 19 beaches and with it come some of the most beautiful seasides I've seen in a long time and places such as Viareggio which also boasts one of the biggest carnivals in Italy, Livorno which doubles up as a Port or Portoferraio but for me it would have to be Orbetello which is located in the middle of the lagoon and it is currently where one of my friends is spending the next 15 days and her Instagram updates are incredible. Said to be geographically unique, Orbetello is famous for its long beaches and beautiful bay, so whether you want white sand or beach dunes, there is a beach to suit absolutely everyone. So whether you have been on holiday, are going on holiday or can't decide whether to holiday or not, I would love to know if Tuscany has ever featured in your places to visit or want to visit list. Oh wow it looks incredible! I would love to visit, it looks amazing! We have just booked to go to Tuscany and the luxury retreat site is just a dream to use, definitely use it. I love Florence but I would love the chance to explore more of Tuscany. We have only ever travelled through Italy so I would love the chance to explore properly. Beautiful scenery!